Thank you for having an interest in Randolph & Hale. Click on any of the images of our team to email them directly regarding any questions you may have about the company or products we can offer you. 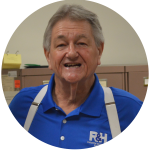 Jim moved from Nashville with his parents in June, 1953 to open the Hopkinsville, KY location. Doing anything from sweeping the floor, stocking batteries, or whatever was necessary. Jim eventually became the company CEO and has been instrumental with the company’s transition into the Industrial Electronics Industry. 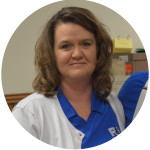 Lori has been with company since August, 2003. She has been our faithful office manager for many years now. Please contact her about any accounts payable/receivable issues. John has been with the company since October, 1994 starting out as the company shipping/receiving and delivery driver. He currently is the company’s General Manager and CFO. Please contact him for any ABB or Omron needs. Sean has been with company since October, 2011. 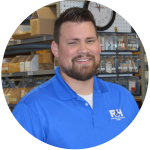 After starting as a counter salesman, Sean has quickly risen through the ranks and is our current outside sales representative. He is able to assist you with any project quotes or on-site inquiries. 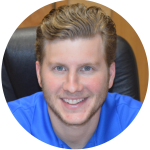 Ask Sean about your Clearfield and Enviro Building needs. Joel has been with company since July, 2013. 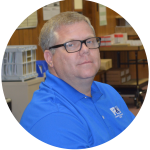 He is our primary purchasing agent/Vendor relations person. With his attention to detail, this makes him perfect for this position. Please contact him for any of your Littelfuse needs.